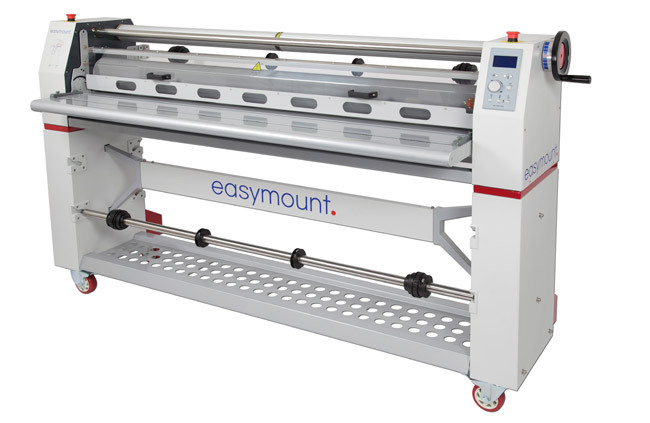 Easymount wide format single heated mount and laminating systems are available in widths of 1200mm, 1400mm, 1600mm & 2100mm to suit all requirements. Affordable pricing, sturdy build quality and powerful features usually only found on far more expensive systems offers a great laminating system in any commercial print or signage environment requiring a quality finish. The heated top roller offers reduced silvering so that finished work can be shipped to the client immediately. A versatile system ideal for the mounting of print to board, laminating prints, applying vinyl, application tapes and adhesives. Manufacturers Specifcations for the Vivid EasyMount Single Hot Series.